Speech is of the society. Words are of the mind. Naad Ananda is a journey through sound, voice and inner movement reconnecting us to our innate nature. It is strongly based on the ancient wisdom of Naad Yoga, the Yoga of Sound and it’s benefits for human’s wellbeing and connectedness in life. It preserves a deep wisdom and understanding of the beauty as well as the power of healing sound. A main beauty of the voice culture in Naad Yoga is to let each note speak, giving time and space to bodily feel it’s own resonance, each note a different country with it’s own landscape, feeling and color. As in all Indian music the holy mantra of the eternal OM is represented in the tonal centre „Sa„, continuously struck by the tampura. The singer listens to the Sa as base or home, and thus can develope a deeply sensed connection to the own inner centre. This experience is often described as a feeling of “coming home”. Thus Naad Ananda is all about tuning into the moment of life. It developes a bodily felt awareness of inner and outer sound. The intuitive feeling sense will be encouraged through the simple acts of sounding, singing and moving – alone, in pairs and in the group – putting you in touch with the resonance, stillness and movement of life. Movement and sound is the very nature of life and a natural expression of the human body. Starting from yoga asanas Naad Ananda encourages to find one’s own unstructured flow of movement including simple sounding and singing. It allows to reconnect with the constantly shifting sence of self and invites to experience the own nature as part of your natural environment. Thus we develop our innate wisdom for a healthy and creative life and for our communication with both cultural and natural environment. Practicing Naad Yoga is ultimately affecting body and soul. It improves concentration, inner balance, focus abilities is distressing and gives peace. It allows a deep relaxation, inner and outer harmony, activates life energies and encourages your creative potentials in many aspacts of life, enriching and giving joy and beauty in everydaylife. 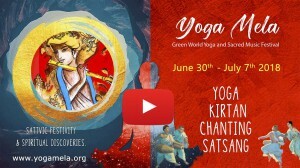 Nada Yoga teaches us how to connect with the Universal Vibration thru practice of music, which is presented in the form of Ragas. Ragas are specific melodies, known for their positive psychosomatic influence on mind-body system, calming the mind and result in inner healing. In the teaching the traditional, rather structured practices will naturally take turns with an individual voice work as well as with a free movement practice. The Basic Training will be held in Germany, in a small seminar-centre in the middle of a beautiful landscape. Language will be German – translation into English is available. 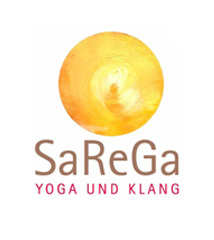 is certified yogateacher (Sivananda style), teacher for autogenous training (trained in Uni Hamburg), „amerta movement“ origined in Jawa with Suprapto Suryodarmo, meditation Sumarah, mental training (Leela Mata), Inner Yoga tought by Guruji Sri Vast and is a practicioner of Tara-Process. She offers Nada Yoga workshops in various venues, has given talks and lectures demonstrations on Yoga Congresses as well as a basic trainings in Europe’s biggest Yoga Center „Yoga Vidya„. From the late 80-ties on she has studied movement work called „amerta movement“ origined in Jawa with Suprapto Suryodarmo as well as voicework with other artists and teachers. She worked with Tim Jones (UK – „towards a yoga of sound„) and Carnatic vocal music with Indu Lekha (Kerala, India). First in 2013 she met the Gundecha Brothers (Bhopal, Madhya Pradesh, India), the worldwide known maestros of Dhrupad, the oldest surviving style of Hindustani classical music. The nature of Dhrupad music is spiritual. It induces feelings of peace and contemplation in the listener.